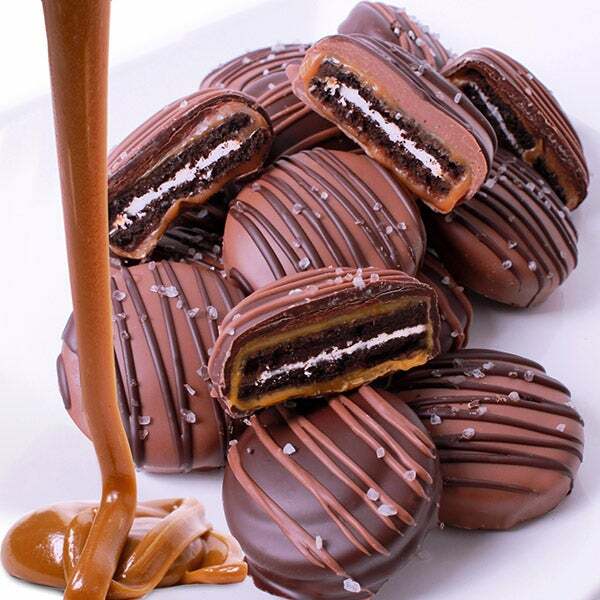 Sea Salt Caramel Oreo? Cookies is rated 5.0 out of 5 by 2. Rated 5 out of 5 by TNT10 from Yummy! You can’t go wrong with chocolate, caramel & sea salt! Yummy! Rated 5 out of 5 by Abuadamin from Fantastic I bought them 2 weeks ago and they were delicious!!!! A dozen sweet, crunchy Oreo® cookies are doused in gooey caramel before getting covered with rich milk and dark Belgian chocolates. They are sprinkled with just a touch of fine sea salt to give you the perfect balance of sweet and salty. This gift will be a hit with any recipient - including yourself!